County Government if Nandi seeks to improved service delivery among the close to 40 directors drwan from all the departments by focus on the implementation of Performance Appraisal System (PAS) and for all the county staff. This result oriented performance management tool will ensure that each employee achieve their individual targets for the realization of the sector targets. While closing the two day workshop on PAS for the directors and Sub county administrators, the County Secretary, Dr. Francis Sang, emphasized that the directors are key people in delivery of services by their respective departments. They should therefore envision themselves to putting into practice what exactly result in the achievement of the targeted results. The directors are therefore encouraged to work on strategies that ensure the staff work diligently to deliver quality services. 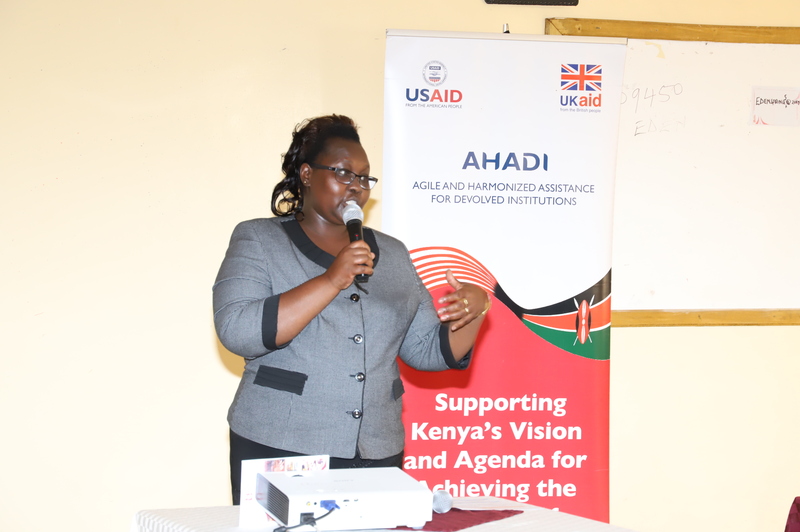 The CO for Public Service, Grace Sugut, reiterated that the department is streamlining public service sector by putting in appropriate structures and frameworks that enhance successful delivery of services to the citizens of Nandi.